UPDATE 12/20/18: An update is needed here. While there might have been some initial hype surrounding this announcement as a “new” chipset from Qualcomm to help Wear OS make a comeback, so far it has been nothing but a massive disappointment. The Wear 3100 runs the same quad-core A7 setup as the 2100, but Qualcomm then tossed in a new ultra-low power coprocessor. In theory, and maybe in due time, that co-processor will help extend battery life. Unfortunately, those old A7 cores provide the same poor performance and efficiency that Wear OS has been plagued with for the past several years. So nothing changes here in performance, while battery life improvements are only marginal. This processor is a bust. 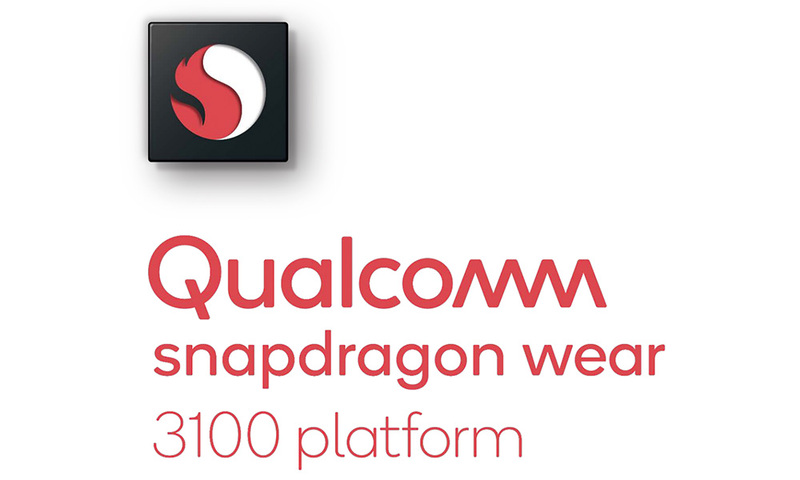 Today, Qualcomm announced its new smartwatch and wearable chipset, the Snapdragon Wear 3100. This is the chipset that was first teased back at Google I/O in May and could bring major improvements to the Wear OS ecosystem as a range of new watches running the chip arrive over the coming months. 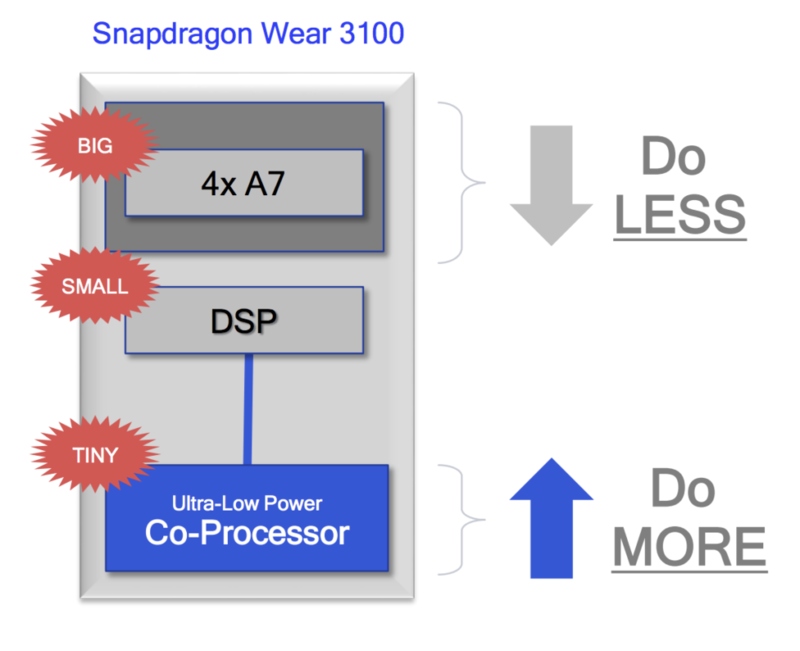 So what’s the scoop on the Snapdragon Wear 3100 and how does it improve over the aging Snapdragon Wear 2100? This new chip is made up of high-performance quad core A7 processors, a highly efficient integrated DSP, and a new ultra-low power co-processor. The hope there is to provide you with a full smartwatch experience, just like the one you’ve known for the past few years, but Wear 3100 will also let you run a Wear OS watch like a sport watch or regular, everyday watch that lasts for days, thanks to that new co-processor. Qualcomm is pushing three modes for the next generation of smartwatches to run in: Enhanced Ambient Mode, Dedicated Sports Experiences, and Traditional Watch Mode. You can see the point of each in the image below, but you can think of it in a way as the least battery efficient to the most from left to right. In Enhanced Ambient Mode, you get an improved smartwatch experience that doesn’t hold anything back. It has an improved Ambient Mode that shows you a smoother second hand, up to 16 colors at a time, live complications, and is controlled by adaptive brightness. This is the mode that Qualcomm talked about in May, where they suggested that watches needed to look better when you weren’t using them. We kind of thought that might mean a hybrid watch approach, but that’s not actually the case. We’re really just getting a better looking ambient mode. For the Sports mode, Qualcomm is hoping to power smartwatches that can last for up to 15 hours with continuous GPS and heart rate. That would be a massive improvement over current watches and would mean running a marathon without having to worry about your watch dying mid-way through. This mode will first arrive in a later smartwatch, though we have no idea who that might be. This mode will most definitely help push Google’s new love for fitness. And finally, in Traditional Watch Mode, you’ll get a watch that still has some of the smarts of a smartwatch, but is really there to look like a fancy timepiece and last for a really long time. With 20% battery, Qualcomm says that the 3100 could allow for up to a week in this mode, but that expands to almost 30 days with a full battery. As for straight battery life improvements, Snapdragon Wear 3100 offers quite a big jump over the Wear 2100. 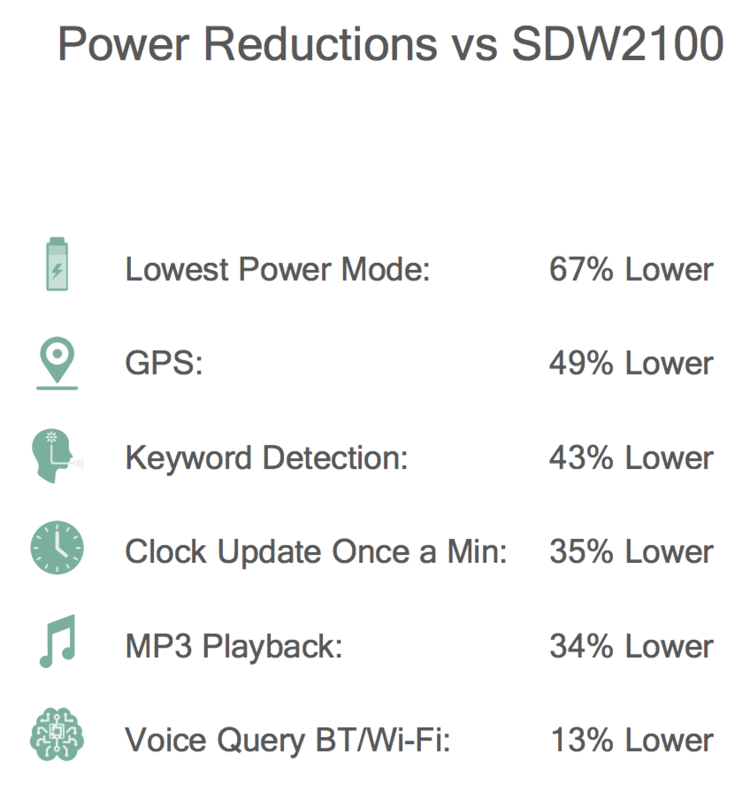 Qualcomm has reduced power consumption by 49% when GPS is being used, 35% for once-a-min clock updates, and 67% in lowest power mode. Depending on the watch and configuration, these improvements could add anywhere from 4-12 hours on a single charge. Qualcomm is hoping that you’ll get well over a full day of battery out of a watch in full smartwatch mode, but can then extend that charge through the end of a week if you switch over to watch mode. It’s like the idea behind Mobvoi’s TicWatch Pro, except Qualcomm is achieving this through the new Wear 3100 and that ultra-low power co-processor, rather than a dual display setup. The Snapdragon Wear 3100 is shipping now and the first customers expected to release watches with it are Louis Vuitton, Montblanc, and Fossil. This chipset will come in configurations for WiFi and Bluetooth, onboard GPS, and LTE. We’ll have more here in a bit!